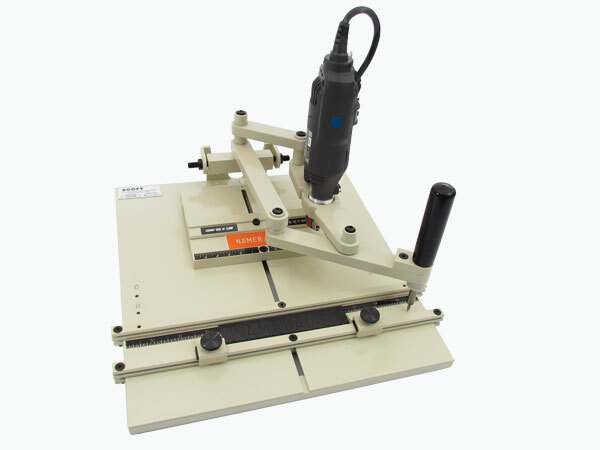 Though almost identical to the fixed ratio model, this variable ratio small engraving machine features a variable ratio arm. It can nicely handle name tags with first and last names, squeeze in extra letters with a smaller font to fit longer words in tight spaces (e.g., James Wollensky) and accommodate extended messaging, such as "Valve 14, Pump 3G". Take a closer look at this affordable flexibility. 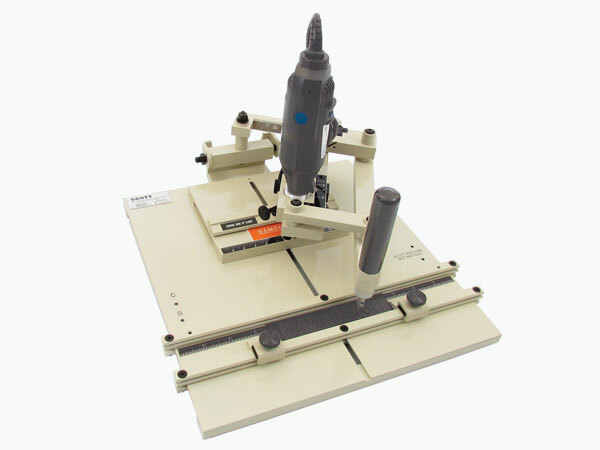 This versatile fixed ratio large engraving performer delivers smooth, consistent results that even newcomers to the process can master. 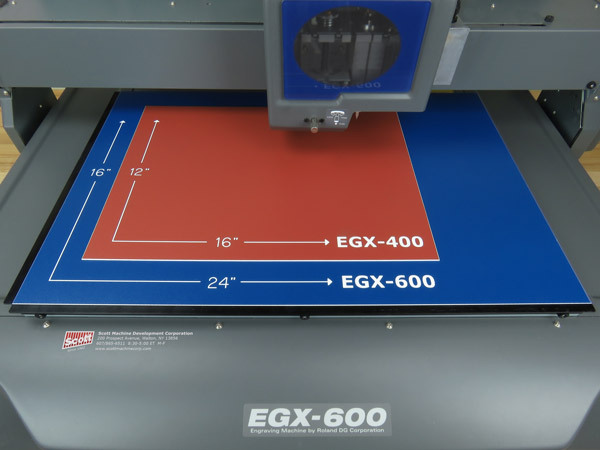 Use this machine when you want to engrave on larger door signs, desk plates, shelf signs in warehouses and other large scale signage up to 10” high x 18” wide. 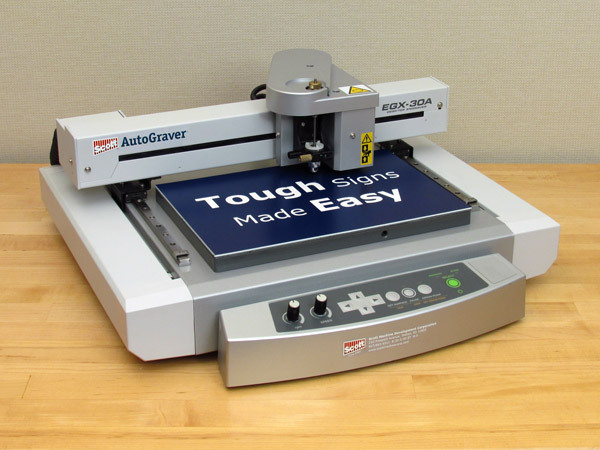 The variable ratio arm gives this engraving powerhouse added capabilities for work on large sign blanks and safety signs with technical terms that require some compression (e.g., Low Pressure Return #3). Size up your next engraving job with confidence…and with this smart choice for sign lettering that requires no added space or manipulation. Go ahead...ramp it up for quality large-scale engraving. 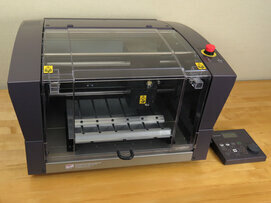 This is our smallest high-production machine…and what a package! The 5,000-20,000 rpm spindle hums along for lettering and for profiling custom shapes in plastic. 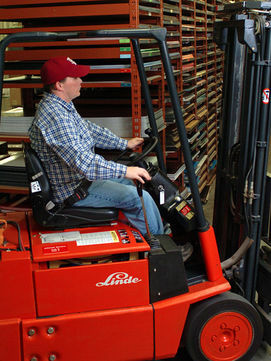 With a workplace footprint of 12” by 9” x 1.6", all your tags - even metals! - and instruction signs are sure to fit. Learn more about what you can create with entry-level engraving machines such as this. Here's the top end of the Scott-TriPoint® engraving machine lineup. 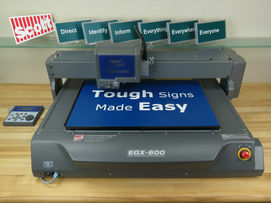 These high-speed EGX-400 and EGX-600 engraving machines can create the durable signs, identification panels, warning labels, and instruction panels for any large industrial facility, college campus or hospital. We offer two versions of our straightforward, professional engraving software with a large symbol library. Add-in the weather-resistant engraving plastics that we manufacture and fulfill our slogan "Tough Signs Made Easy". 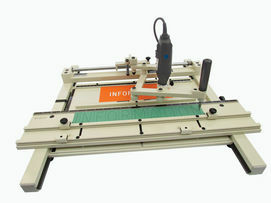 Call about offers for free software & engraving plastics. 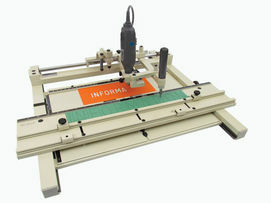 These engraving machines differ only in bed size - click the image for a closer view. The other key productivity features are identical on both engravers: high-torque servo motors to swiftly move the head across the work-piece, durable carbide cutters in a high-rpm spindle, and software to layout the entire bed. Low complications, high output. 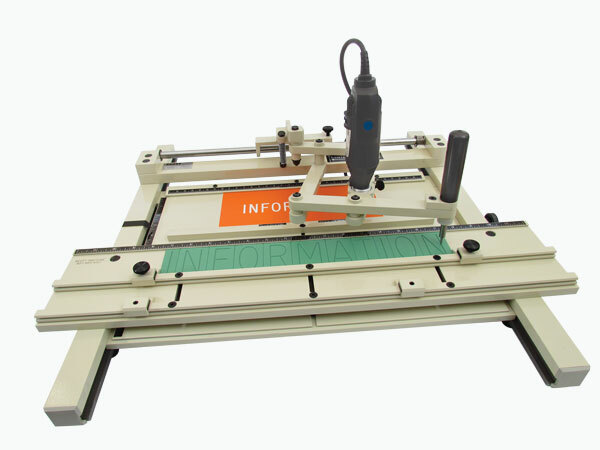 Because we manufacture most of what we sell, all of our engraving machines and equipment are always in stock, ready to go. We have an engraver for every budget and every application -- with all the materials and friendly tech support to ensure perfect results. So engrave- and save-today!